Should you drink Shakeology before or after your workout? This is an easy question to answer, BEFORE! Shakeology gives you an incredible amount of energy that is free of any of stimulants and all natural. This means it is long lasting, even after you finished your workout. It’s perfect if you are always feeling a little sluggish and don’t have the energy to exercise, like most people. Shakeology to the rescue in the form a delicious chocolate or greenberry shake and lots of yummy recipes! If you are a morning workout type of a person, then drink Shakeology for breakfast and then go rock your workout. If you are an evening workout person, have your Shakeology as an afternoon snack and then crush it! You will definitely feel the difference with and without it! My wife is a testament to Shakeology. She always had the “I’m too tired to workout” excuse. 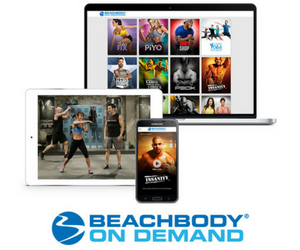 After using Shakeology on a regular basis, she is now the workout junkie! She went from barely doing any activity to daily and sometimes twice daily exercise sessions within a couple of weeks. I couldn’t really believe that all of this came from her shakes so I had to find out for myself. Wow is about the only thing I can say. With more energy to exercise, you get better results because you can turn up the intensity! Shakeology as a post workout drink in my mind doesn’t really work as well. Yes it is made with whey protein which digests quickly to help in the recovery of muscles but the carb to protein ratio is not exactly where it should be for optimum recovery. It is better than many of the options out there but that’s why we have the P90X Results and Recovery Formula. 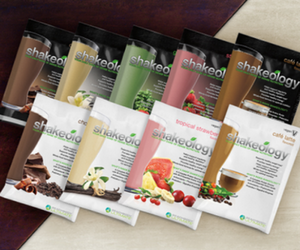 Have a Shakeology before you do your exercise. You won’t regret it!